I don’t think I can remember a time when Roo didn’t have a place in her heart for dolls. She has always loved the role-playing aspect of dolls, whether she is dressing them up, playing with their hair or taking them on an adventure through her imagination. 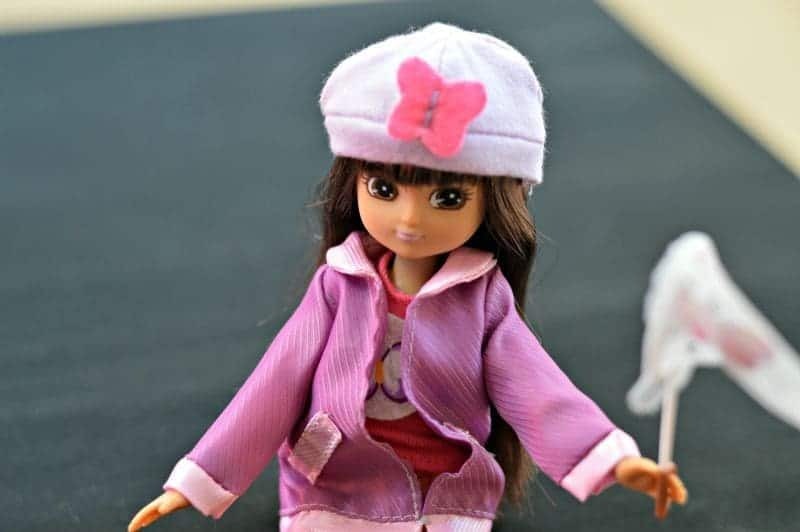 Many of the dolls she has had throughout the years have offered her hours of fun and entertainment however they all seem to promote a body image that isn’t one of a little girl. The Butterfly Protector Lottie doll however is different from all other dolls, she has an age appropriate body shape and has even won an award because of this feature. Lottie and her friends love to volunteer their time in helping Margaret, the gardener at the English country Garden. Margaret is always full of interesting facts, such as how plants need water and light to grow. 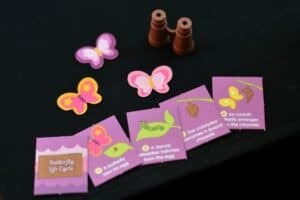 It was from Margaret that Lottie learnt about the life cycle of the butterfly, how it changes from egg to caterpillar to chrysalis into a beautiful butterfly which then plays a very important part in the pollination of Margaret’s flowers. There is something about Lottie that has captured the imagination and has re-awoken a love for dolls in Roo. Since Lottie’s arrival she hasn’t been far from Roo, whether they are sitting on the sofa watching TV whilst Roo combs Lottie’s hair, whether they are holding a butterfly life cycle masterclass for her other dolls (including Tigger) or if she is hiding the butterflies for Tigger to find in a butterfly treasure hunt. At just 18cm tall Lottie feels like the perfect size for little hands and suitable to be taken along on adventures to the park, in the car or round a friend’s house for a play date. 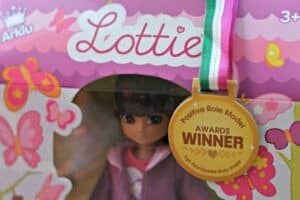 Disclosure: We received a Butterfly Protector Lottie doll FOC for the purpose of review. She looks great – Erin is very much into dolls and finding brands that are in keeping with my values can seem hard but these fit the bill perfectly. You had me at “age appropriate”!